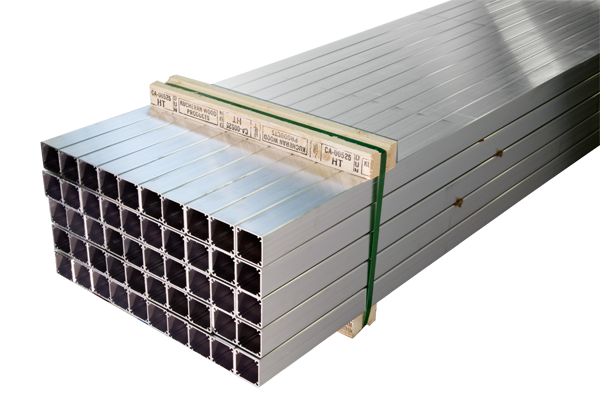 At Apex Aluminum we value your product, which is why we offer a variety of packaging options to cater to your specific needs. No matter the type or size of extrusion, our packaging team will focus on protecting your product, and packaging it to your specifications. Please contact us if you have any questions regarding our packaging solutions. 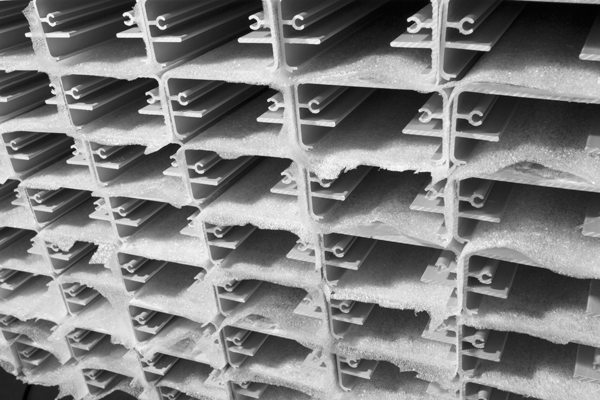 Extrusions are stacked together with no internal separation between pieces or rows. 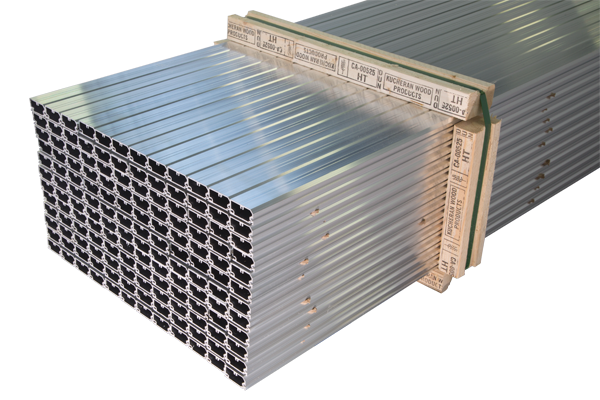 Bare bundle packaging is only suitable for mill-finish profiles that do not lend themselves to internal separating strips. 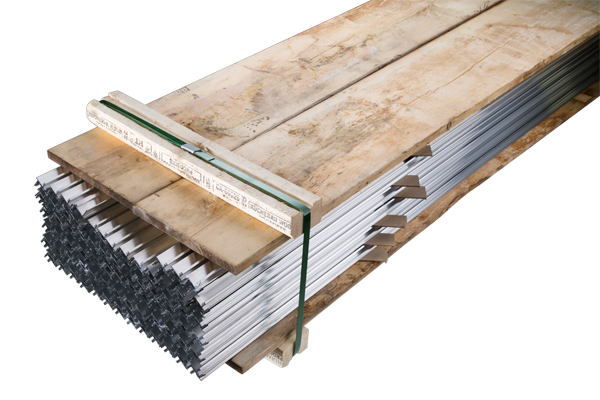 Two pieces of wood dunnage are placed on the top and bottom of the bundle, strapped together and repeated at regular intervals along the length of the bundle. This is one of our most common forms of packaging and works best for structured shapes. 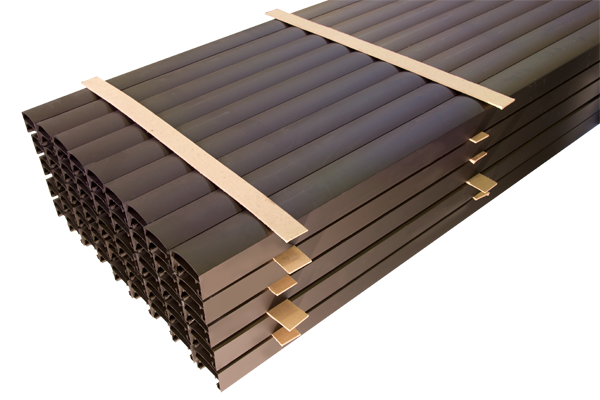 Wood dunnage is placed on all sides of the bundle, strapped together and repeated at regular intervals along the length of the bundle. The additional support ensures the bundle is fully contained during transport and prevents the possibility of the bundle collapsing. This is one of our most common forms of packaging and works best for structured shapes. The bundle is fully covered with cardboard, then plastic wrapped to provide protection from debris, handling and inclement weather. 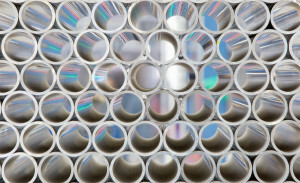 This method of packing is only available for anodized bundles. 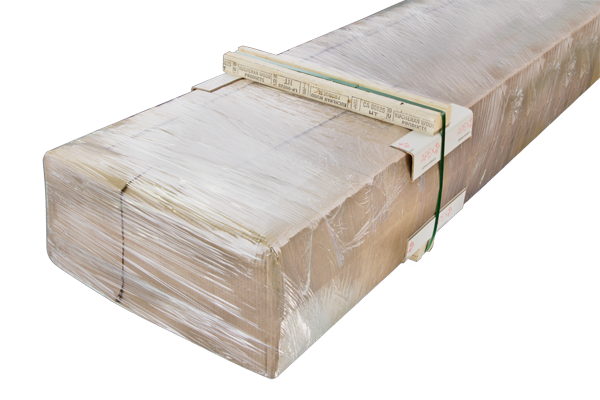 Cardboard corner protectors are placed between the centre band points and all four corners of the bundle, to provide protection from forklift handling, transport & stacking, as well as protecting the extrusions from any friction caused by the structured wood. This method of packing is only available for anodized bundles. 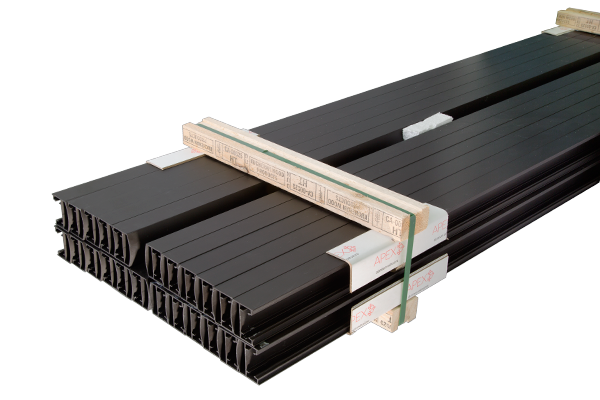 For extrusions of a more fragile nature, lumber planks are placed along the top and bottom of the bundle, adding extra support and structure, to ensure protection during transit. Strips of chipboard are placed 3 feet apart along each layer of the bundle. The chipboard will ensure the bundle is balanced and offer support and separation between layers to prevent scratches on the finished product. Foam sheeting is inter-weaved between each individual extrusion, layer by layer, to provide superior protection from surface rubs & scratches during transit. Foam weaving can be added to any packaging method. Both ends of the bundle are plastic wrapped and placed in a blue reusable metal rack. 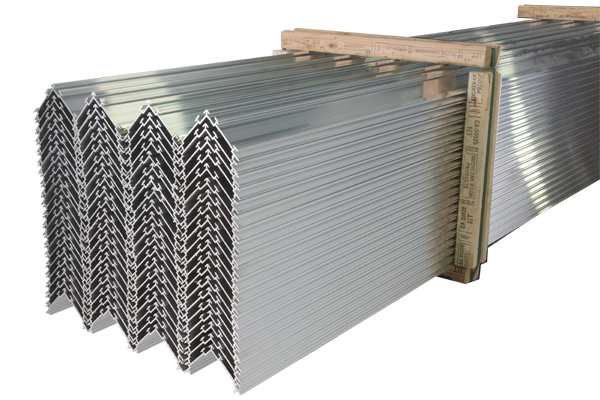 Stripping is used between each layer of extrusions to add support and protection against scratches. This environmentally friendly shipping option is subject to a packing rack supply agreement. Contact Apex today and speak with a shipping specialist who will help you choose the packaging solution that’s right for you.